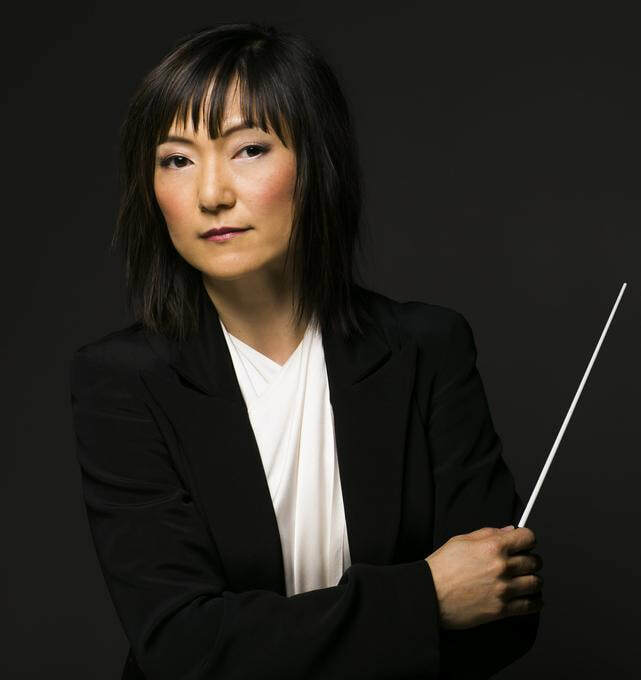 REI HOTODA - KAYLOR MANAGEMENT INC.
Rei Hotoda, currently serving as the Music Director of the Fresno Philharmonic, is widely considered one of America’s most sought after and dynamic artists. She has appeared as a guest conductor with many of today’s leading ensembles, including the Symphony Orchestras of Baltimore, Chicago, St. Louis, Dallas, Toronto, Utah, Fort Worth, Winnipeg, and Colorado as well as the Civic Orchestra of Chicago, among others. She is a tireless advocate for the music of our time, and is equally at home leading the orchestra from the piano as well as from the podium. Community engagement and inspiring the next generation of musicians coupled with a deep commitment to showcasing artistic diversity and collaborating with a wide array of artists defines Rei’s artistic philosophy. Her 2018-19 masterworks concert season in Fresno will focus on the power of music with a deep connection to storytelling and community engagement. Works by John Corigliano, Missy Mazzoli, Zhao Jiping, Aaron Jay Kernis, Benjamin Boone (local Fresno composer), and a world premiere of a new work by Dinuk Witjeratne co-commissioned by the Fresno Philharmonic outline the season. These master voices of today are paralleled by those of the classical cannon when she also conducts works by Beethoven, Strauss, and Prokofiev. At the centerpiece of Rei’s season with the Fresno Philharmonic is Britten’s provocative War Requiem, presented in commemoration of the 100th anniversary of the end to World War I. To amplify the dynamic work on the mainstage, Rei will again host a series of casual-format talkbacks, entitled “Stay Tuned,” and lead newly-designed “Meet the Artists” luncheons at repertoire-relevant locations throughout the city. In August, 2018 Rei Hotoda was selected as the honoree for Fresno's Women's Equality Day celebration. The award, given by the League of Women Voters of Fresno, is given to a local woman who is outstanding in her profession. With repertoire spanning Beethoven’s Symphony No. 6 to Shostakovich’s Symphony No. 8 and from Toyama’s Rhapsody for Orchestra to Jennifer Higdon’s Percussion Concerto, Rei will make several exciting debuts this season when she appears as guest conductor with the Symphony Orchestras of Spokane, Portland, Detroit, Hilton Head, and Hawaii and a welcome return to Dallas. A consummate advocate of new music, Rei has conducted premieres of works by such notable composers as John Cage, Gene Coleman, Luc Ferrari, Dai Fujikura, and Salvatore Sciarrino and has championed and recorded compositions by female composers, including Vivian Fung, Jennifer Higdon, and Missy Mazzoli. As part of the Winnipeg New Music Festival, she appeared as both a pianist and conductor, performing works by such composers as George Crumb, Nicole Lizée, and Vincent Ho. Most recently, she led the world premiere of a new opera composed by Gene Coleman, entitled Dreamlives of Debris, in Chicago. Rei’s deep knowledge and remarkable versatility on and off the podium have led to several collaborations and special projects. She has worked with such ensembles and artists as tabla master Sandeep Das; violinist, Jennifer Koh; pianists Natasha Paremski, Awadagin Pratt, Orion Weiss, and Joyce Yang; cellists Johannes Moser; guitarist Pablo Villegas; soprano Jessica Rivera; ensembles such as the Indigo Girls, Steep Canyon Rangers, and Pink Martini; singers Idina Menzel, Michael Feinstein, and Ben Folds, among many others. As a recording artist, Rei’s credits are wide-ranging and feature her as both conductor and piano soloist. She recorded the music of Nicole Lizée with members of the Winnipeg Symphony Orchestra on an album released in 2008 on the Centrediscs label entitled, This Will Not be Televised. Also, in 2008, Apparitions, her first recording as a solo pianist, was released by Signpost Records and featured works by Noriko Hisada, Vincent Ho, and Toru Takemitsu. Symphony Sessions was released in 2007 (Signpost Records), and featured Rei conducting the Winnipeg Symphony Orchestra in works by Juno award winner, Steve Bell. Rei is also an accomplished pianist. She is equally at home leading the orchestra from the piano as well as from the podium. She has appeared as soloist conducting from the piano with the Dallas, Edmonton, Utah, and Winnipeg Symphony Orchestras, performing works by Bach, Beethoven, and Mozart. Rei served as assistant conductor at several of today’s leading orchestras and festivals. She was the associate conductor of the Symphony Orchestras of Dallas, Utah, Winnipeg and the Cabrillo Music Festival. 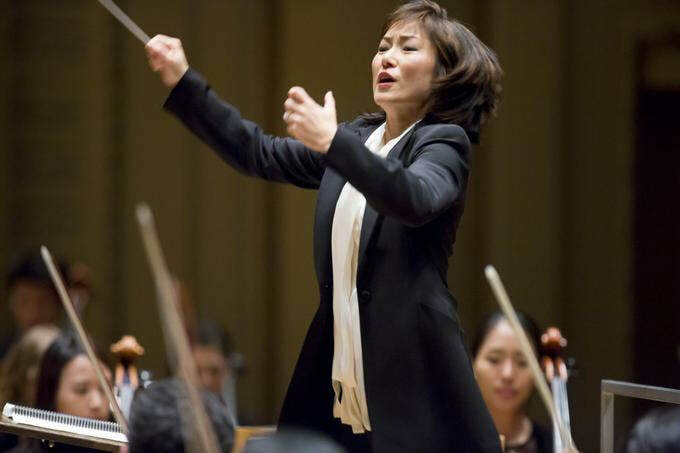 Rei is the proud recipient of several prestigious awards, including the 2006 Taki Concordia Conducting Fellowship, created by Marin Alsop to mentor women conductors. Additionally, she has received a Peabody Career Development Grant, the Women’s Philharmonic Scholarship, and an Illinois Arts Council International Arts Exchange Grant. Rei studied conducting with Gustav Meier at the Peabody Institute in Baltimore, Maryland. She holds a Doctor of Musical Arts in piano performance from the University of Southern California, and a Bachelor of Music in piano performance from the Eastman School of Music.